When you visiting countries in overseas, its normal to visit a place that click with your interest isn't it? And if its anime or Vocaloid mania, it should be Japan right? There is one place which is not really made known to many, but should be of interest to our community. Its the VOCAROOM cafe. The Mikumentary Episode 4 mention about this venue that worth mentioning in the Vocaloid fandom. More about them in the article. I am surprised to find the cafe concept exist, but since Japan is where VOCALOID movement started and prominent so it is not all that surprising. 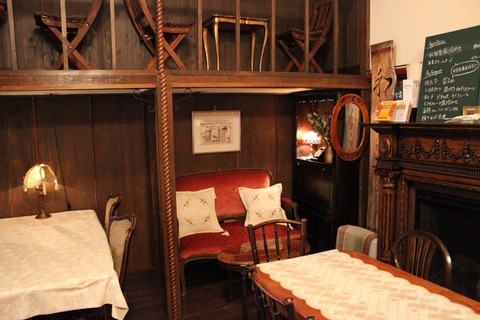 In summary, VOCAROOM is a cafe/bar for VocaloP, creators of all genres and even just fans to gather, interact while enjoying the provided beverages and food surrounded by Western antiques and furniture. 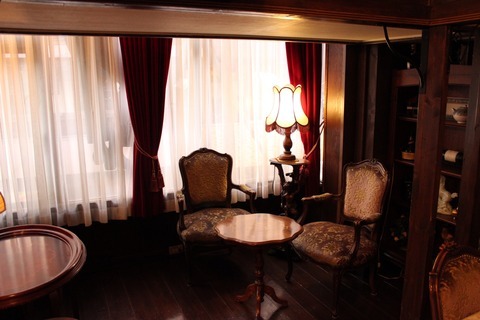 Looking through the pictures of their establishment, my mind instant thought that the atmosphere would be good a cosplay photoshoot, particularly Victorian style. Alas, they currently have a policy of staying true to their main goal which is to "believe in creators, not the characters". In other word, real life people behind the scene of Vocaloid fandom is much more celebrated and appreciated here thus cosplays are not encougared. I like the idea though, since its how Vocaloid are supposed to be, to bring out the indies to the spotlight, at least that is my personal opinion. 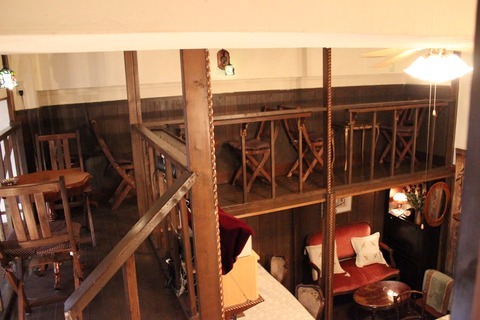 Owned by Mr. Nagare Ogumori, VOCAROOM is located in Setagaya-ku, Tokyo Kyodo 2-2-9, nearby the Kyodo train station of Okyudo line. I am quite surprised there was lack of mentions regard to the cafe itself, even among the known VocaloP and creators.It seems a VocaloP goes by the name KeburaP is a frequent customer and also eventually become the main bartender there. He has some good music uploaded, unfortunately lacking in views. I like his work called Sweet Lie using Miku Append SOFT. Regardless, this is one place I have to mark as a 'Must Visit' as a Vocaloid fan. It is interesting to see a Vocaloid concept cafe that is not cosplay or maid for a change. Aside from being a bar, it also serve non-alcoholic drinks so it is okay for minor to come in as customers.